Our three guesthouse rooms are a little more secluded, and have full private bathrooms, a/c, and TV/DVD players with DirectTV. 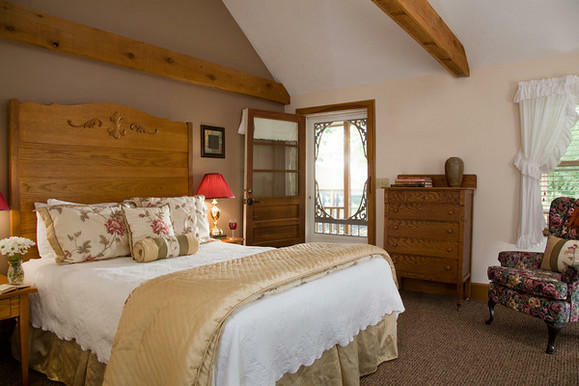 Redbud and Dogwood rooms feature king size beds and woodburning fireplaces. Willow Room has a queen bed and electric fireplace. Willow and Dogwood are pet friendly.